I am a wedding photographer and I was recently asked by ‘Your West Midlands Wedding‘ Magazine to be on their expert panel of wedding suppliers, answering wedding-related questions from brides & grooms. I thought it would be a great idea to share some of my help and advice here on my blog too! If you have a question you would like answered, just drop me a line. The first question that I want to answer is one that comes up time and time again – “How do I choose a Wedding Photographer?!”. There is just so much choice out there now, so many photographers and so many different styles of photography, that it can be quite a daunting challenge. You also hear so many horror stories about people who were disappointed with their wedding photographs, and you want to make sure that you are making the best choice so that this doesn’t happen to you. The most important things to think about are the style of the photography, and the personality of the photographer. First of all though, you will probably want to get an idea of what your budget is for your wedding photography, so that you know how much you are able to spend. Having your budget in mind is very important, but ultimately you should make the decision to choose a photographer because you love their images, not because of their price. My advice here would be to spend as much as you can on your wedding photography, as your wedding photographs will become your main memories of your wedding day, and will be all that you have left to remember the day by, so they really are the most important investment you can make. So many people end up regretting not spending more on their wedding photography, as they are disappointed with the results. It really is worth trying to put as much as you can into the budget for it. In general, the more you spend on your wedding photographer, the more experienced they will be. They will have a great reputation, with many, many happy customers, and they may even have won an award or two. They will also have better equipment for better quality results, and they will know how to handle any situation. They will have an extensive and consistent portfolio for you to get a real idea of their style and their ability – you will be sure of being able to place your trust in them to do a great job for you, and to get the results you want. As a side note, I often get asked about whether it’s a good idea to have a ‘friend’ or a ‘family relative’ shoot the wedding – they have a camera and they take great pictures of their kids/dogs/cars/landscapes, plus they have offered to do it for free or cheap. I would always advise against this option (unless your friend is a professional wedding photographer!). Mainly, you want your friend or relative to be able to enjoy the wedding day as a guest, not to feel stressed or pressured by having to take the photos. But also, there is a big difference between shooting kids/cars/landscapes and shooting a wedding. Just because they have a great camera, they won’t have as much experience in shooting weddings as a professional wedding photographer will, and they may not know how to best use their camera in the tricky conditions that weddings often present. If you can afford to have a professional wedding photographer, you should definitely opt for their experience and know-how when it comes to weddings. But of course, it is fantastic to have all of your friends’ and family’s snaps as well! Great, so you are sorted with your budget and now you can get looking for a wedding photographer you like. Where to start? Have a think about the style of your day, and your own personalities. 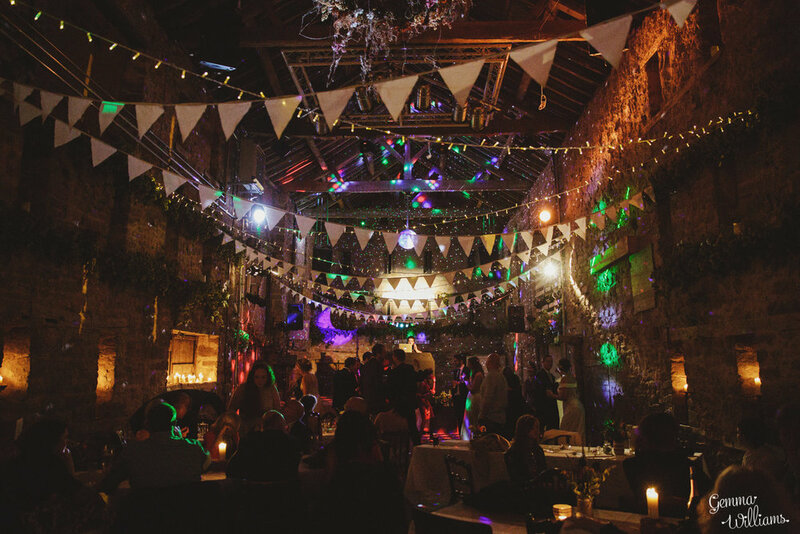 Is your wedding going to be quite relaxed and informal, is it quirky, or is it going to be more traditional in style? Do you have ideas for particular photographs you would like, or would you like the day to be captured in a natural way? Do you like posing for your photographs to be taken, or would you rather not know there was a photographer there? All of these questions will influence the type of wedding photography you like the most. It’s important to make sure that you choose a style of wedding photographer that fits with your vision for your wedding day and how you would like it to be captured. Traditional wedding photographers will generally do more posed or set-up pictures, with more ‘formal’ group photographs, for example. On the other hand, ‘documentary’, ‘photo-journalistic’, or ‘reportage’ photographers will capture your day naturally as it unfolds, without any posing or direction. Fine art photographers do this in a creative and artistic way, recording the wedding through their own style and vision. As well as the different ways your wedding can be captured by a photographer, there are also different ways that they can ‘post-process’ the photos after the wedding. You will notice that some wedding photographers have a clean, fresh, natural look to their images, some are more contrasty and have more vibrant colours, others may be more muted and might use ‘filters’ which give, for example, a vintage look. It doesn’t matter which of these you prefer, but make sure you are choosing a photographer who delivers the images in the style you like best. Also, make sure that you will still like this style in several years to come when you look back at your photographs. Spend lots of time looking on the internet at different wedding photos. Pinterest is a great resource for this – lots of ideas and inspiration! As you pin different pictures, think about what you like about them, and try to identify a particular photography style that is really standing out for you – this is the kind of style you should then be looking out for as you look at photographers’ websites. You can do Google searches for wedding photographers in your local area, or wedding images at your wedding venue. You can also look on wedding blogs and at wedding magazines for photography you like. Have a look at the photographers that your wedding venue recommends. It’s not essential, and there may not be any that suit your style, but it is a good idea to take a look, because these are photographers who will know your venue well and will be able to help you with photo ideas that work best there. Check out whether your wedding venue has a Wedding Fair coming up where you will be able to meet them in person. Perhaps your friends had great wedding photographers when they got married, that they would be happy to recommend to you. Word of mouth recommendations are always good, as you know that they were really happy with the service they received. When looking for photographers it’s always great to see if they have reviews or feedback from previous delighted customers, to give you added reassurance and peace of mind. Facebook and other social media can often be good for this. When you have a list of photographers that look promising, check out their websites thoroughly, look through their blog posts and portfolios, and make sure you love their work. The design and wording of their website should give you a good idea of their personality and professionalism, and they should have lots of up-to-date, consistent examples of weddings to give you a firm idea of their style of shooting and processing. Then get in touch with your favourite to see whether they are available on your wedding date, and ask for their brochure with further information about pricing etc. If their brochure looks good, and they offer the service you require, that’s great! Maybe you love their work so much that you just know they are right and you want to book them straight away. Or maybe you would like to meet up with them in person first of all for a chat about your wedding and to look through their albums. Your wedding photographer will be with you for most of the day on your wedding, so it’s a good idea to check first that you get on with them and will feel comfortable with them being around on your wedding day. If you ‘click’ with them and like their personality and their approach, then it will just be like having another friend at your wedding! This will really benefit your photos too. When you book your chosen photographer, they will usually ask you for a deposit to secure the date, and they will also ask you to complete some paperwork, such as a booking form / contract. Check that you are happy with everything, and then don’t delay in booking as you may lose the date to someone else! You will then usually have to pay the remainder of the balance at some point before your wedding day. Your photographer should keep in touch with you as your wedding day approaches, and will make sure they know all the important details of your wedding so that they do a great job for you. You may also have an engagement shoot with them before the wedding, which is a great idea to get you ready for the big day! Exciting times ahead! I hope that you have found this helpful, and I hope you find an amazing photographer that you love! If you have any further questions that you would like to see featured in my Help & Advice section of my blog, please do get in touch. If you are getting married and are looking for a wedding photographer, I would love to be on your list of favourites! Please take a look at my Wedding Portfolio and Pricing pages on my website for further information, and drop me a line if you would like to have a chat about your wedding photography. 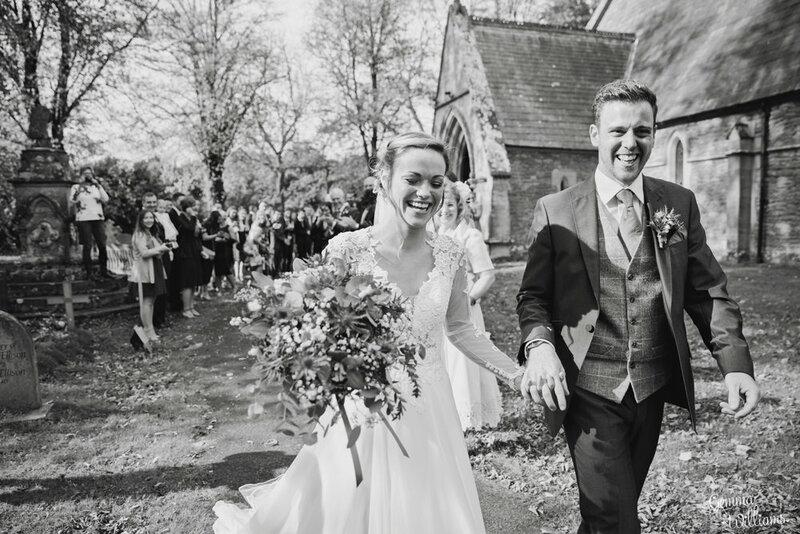 Gemma Williams is an award-winning wedding photographer based in Hereford, Herefordshire in the West Midlands UK. 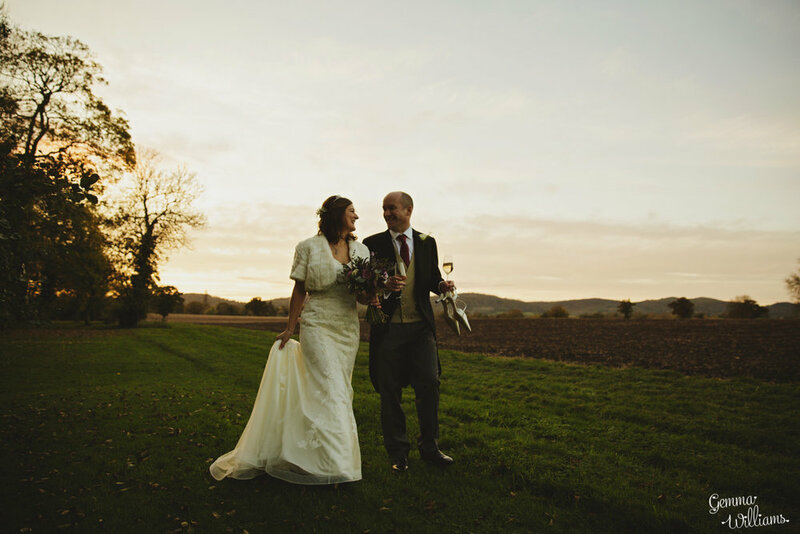 I specialise in beautiful, natural, creative documentary wedding photography.